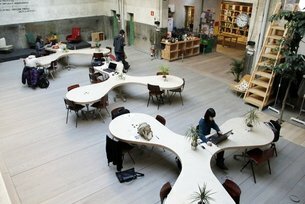 Creative Hubs are transforming the way that creative people work, innovate and connect across the globe. From Cape Town to Rio de Janeiro and London to Shanghai, these spaces are increasing access to cultural production resources, supporting more people to pursue cultural and creative careers and reaching out to different audiences. They’re also redefining the traditional model for cultural businesses. Through this programme we want to highlight the importance of these new initiatives to the global cultural landscape, and bring the British Council’s extensive international networks together with the more personalised and localised reach of hubs to create new connections and opportunities. We want Creative Hub founders or innovators to learn from other creative hubs, sharing information on their different business models, community ethos, values, stories and projects. This initiative will connect creative hubs internationally between the UK and Brazil through an annual exchange programme. Three creative hubs in the UK will be twinned with a ‘partner’ international hub to participate in an exchange programme of up to two weeks (between 9 – 14 days). Between October 2014 and February 2015 the successful UK applicants will host a Brazilian creative hub founder or innovator at their creative hub in the UK. The residency will last for two weeks. Then between March 2015 and June 2015 the successful UK applicants will travel to Brazil for a reciprocal residency where they will be hosted for two weeks at their ‘matched’ Brazilian creative hub. UK-based leaders, founders and pioneers who are setting up and developing hubs or spaces to support creative entrepreneurs and creative communities. For full details, criteria for applicants and how to apply please download the application back here. Submissions are accepted via email only. Please send completed applications to: erin.bunting@britishcouncil.org. Submissions should be emailed before 5pm (BST) on 25 August 2014. 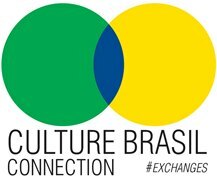 Culture Brazil: 3x3 Hubs is part of a wider UK/Brazil exchange programme (Cultura Brasil) managed by the British Council Brazil with support from Brazil’s Ministry of Culture.